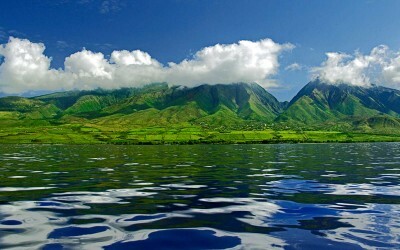 Looking mauka (inland) from Halawa Bay on the island of Molka’i, you will find steep and lush Halawa Valley and the Mooula Waterfall fed by the Halawa and Mooula streams headed in the hills above. The waterfall gets its name–“moo” meaning lizard–from a legend that the pool at the foot of the waterfall is inhabited by a giant lizard. 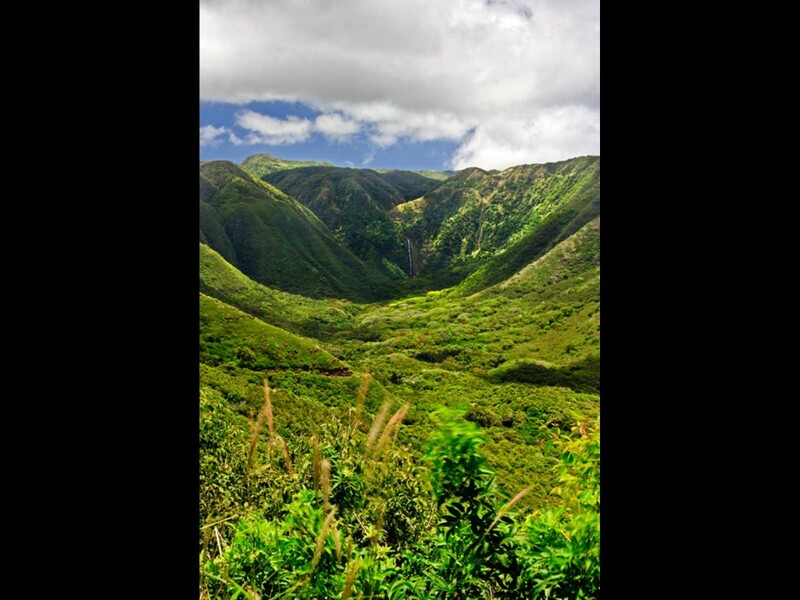 Halawa Valley is on Moloka’i’s east side where the highway comes to a winding and scenic end. Halawa Valley has a uniquely documented history–in fact the valley has the longest continual cultural sequence documented in Hawaii, going back around 1,350 years. The valley is filled with archaeological sites including dwellings, temples, farmland and more. It has been called one of the most complete representations of prehistoric Hawaiian culture. Except for the bay and a bit of land around it, the entire area is privately owned, which means getting a guide or permission to make the waterfall hike.